Razia Iqbal is a presenter for BBC News. 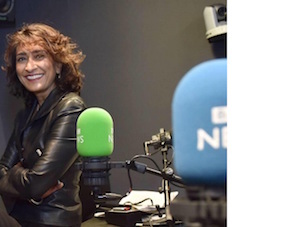 She is one of the main hosts of Newshour, the flagship news and current affairs programme on BBC World Service radio. She also regularly presents The World Tonight on the BBC Radio 4. She was the BBC’s arts correspondent for a decade. She has been a journalist with the BBC for nearly three decades.